Reger Rizzo & Darnall is pleased to announce that Michael J. Needleman has joined the Firm as a Partner in the Philadelphia, PA Office. Mr. Needleman will join members of the Firm’s Litigation, Insurance, Employment Practices, and Corporate & Business Services Groups. Mr. Needleman has extensive experience handling insurance defense, insurance coverage, and employment litigation matters. He practices in the United States District Courts for the Middle and Eastern Districts of Pennsylvania; the District of New Jersey; and, the United States Court of Appeals for the Third Circuit. Mr. Needleman also practices in the Commonwealth of Pennsylvania, the State of New Jersey and the District of Columbia, and has extensive trial experience. Mr. Needleman has delivered lectures to the insurance industry on various topics, and has taught several CLE classes on a variety of subjects. He has also conducted training seminars for insurers and employers on maintaining harassment-free workplaces and minimizing claims. Mr. Needleman sits on the ADR Committee for the New Jersey Defense Association and the Special Advisory Board to the Board of Directors of the Charcot-Marie Tooth Association. He is also a member of the Philadelphia Volunteer Lawyers for the Arts, and is occasionally appointed by the District Court for the Eastern District of Pennsylvania to assist in civil rights cases. He also sits on an advisory committee for Springfield Township, Pennsylvania. 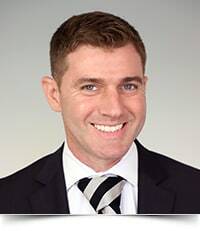 Mr. Needleman is a 1998 graduate of American University, and a 2001 graduate of Widener University School of Law. Upon graduation, he clerked for the Honorable Theodore Z. Davis, P.J.Ch., Superior Court of New Jersey, Camden County, Law Division, General Equity Part.